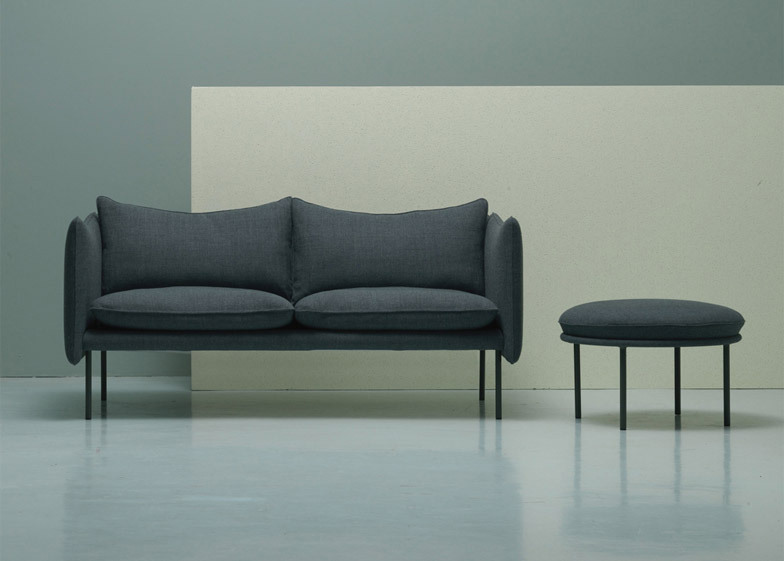 Stockholm 2015: Oslo designer Andreas Engesvik has expanded his seating collection and added a new table to the range offered by Swedish design brand Fogia (+ slideshow). Fogia's Tiki seating and the Bowl Table are both designed by Engesvik, who was also one of three Nordic designer to collaborate on a wooden dining table for the brand last year. 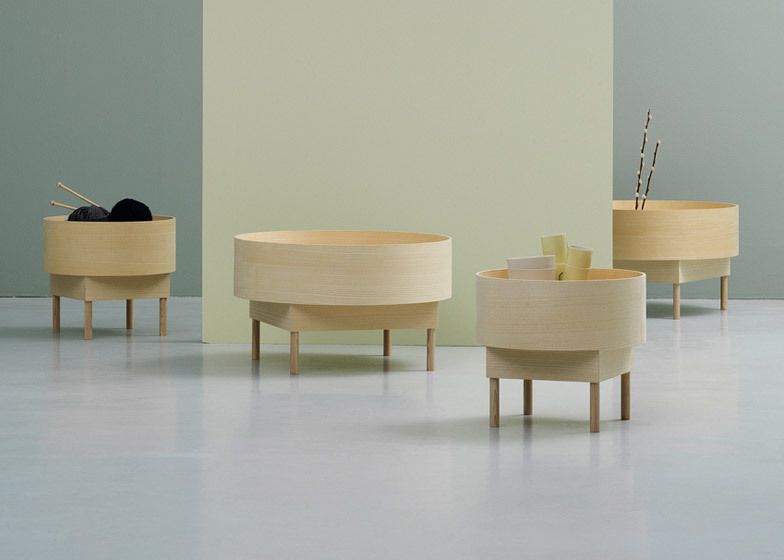 The Bowl Table – which comes in two sizes – is formed using a thin piece of ply veneer wrapped around a circular horizontal surface. The cylinder forms a high lip around the low table so that small objects won't fall off the surface. 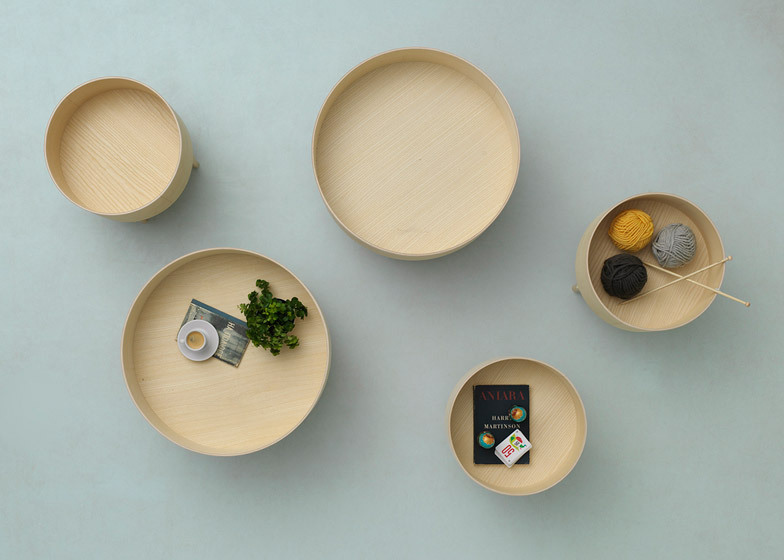 "Bowl is an aesthetically strong storage unit to keep your everyday items close to hand," said Engesvik. Sat on a square base propped up by four thin legs, the open-topped container frames the loose accessories when viewed from above. 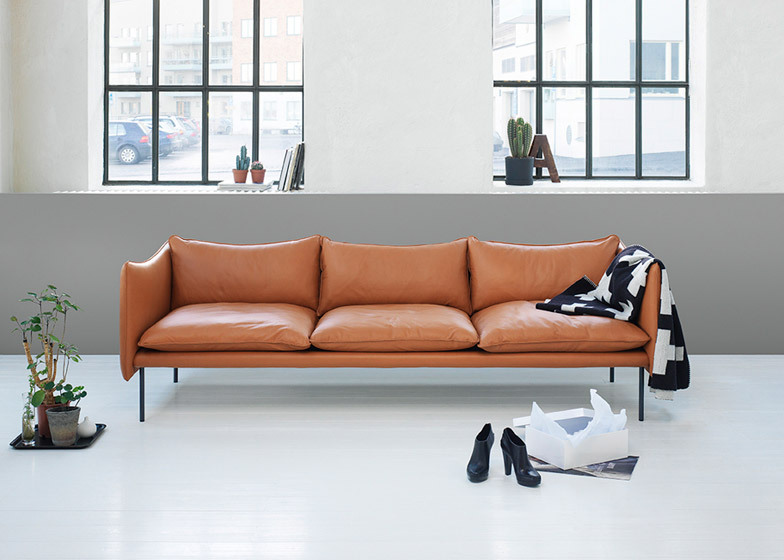 "A true piece of mono-function furniture, items placed within take on a new aesthetic meaning, whether you choose to be creative with your selection of items or more haphazard," Engesvik said. Engesvik has also create an armchair and stool to match his Tiki sofa, which launched last year. 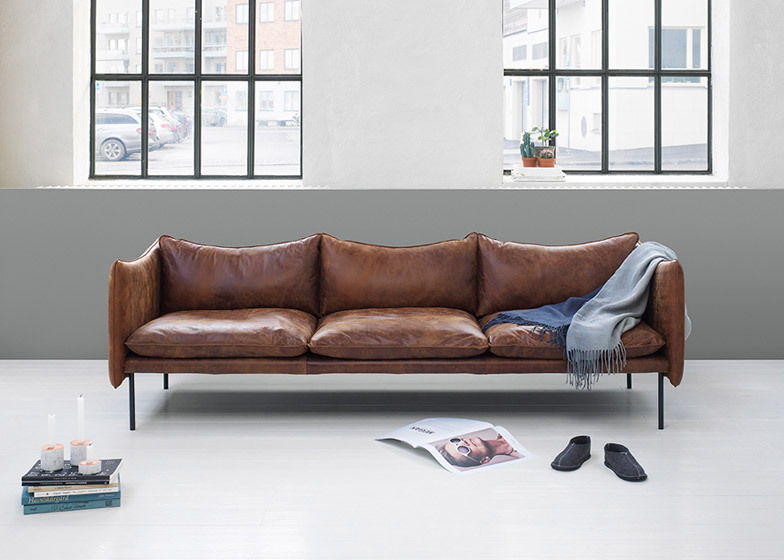 "Tiki is a deceptively simple sofa with an abundance of character and comfort," he said. "Its soft lines and worn-in appearance make it feel almost familiar." Rectangular upholstered sections create the chair arms, dropped slightly from the height of the back rest so they extend down lower than the seat platform. Each cushion has an exaggerated seam around its edge and is available in different coloured fabrics, as well as leather. "It's a piece designed to be experienced, inviting the user to touch and explore its construction," Engesvik added. 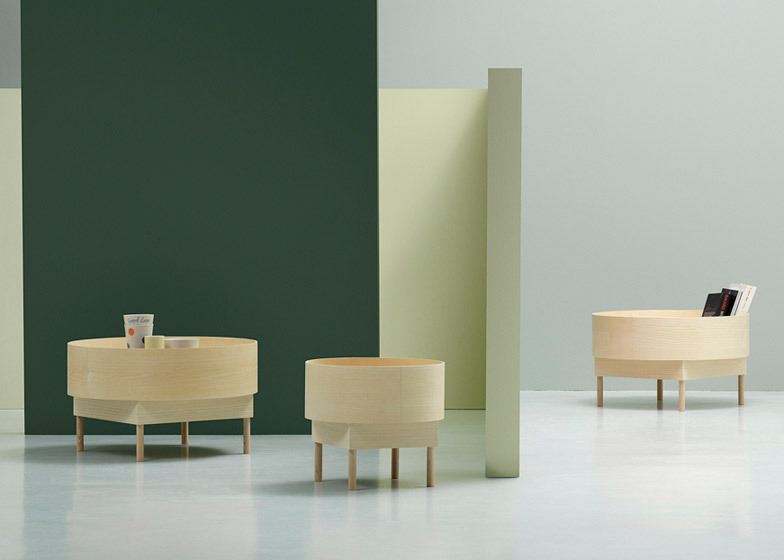 In contrast to the squared shapes of the armchair and sofa, the seat of the stool is circular – though all three designs share the same thin legs. 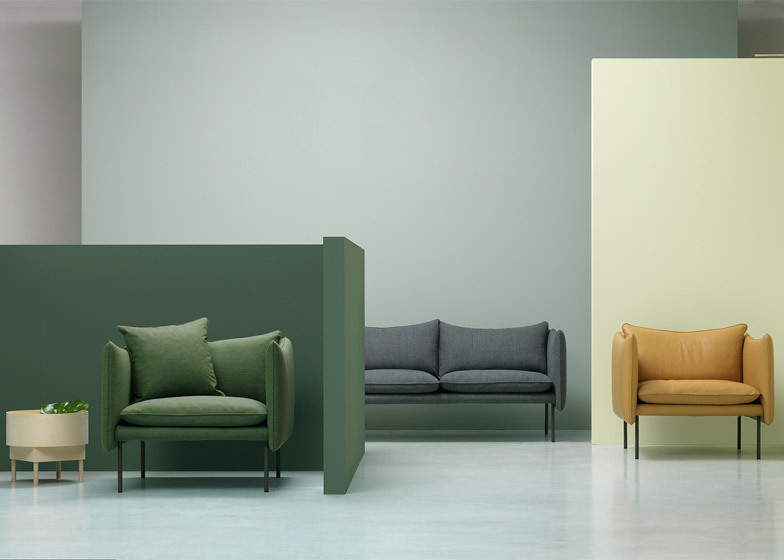 The new products are on show alongside a compact-sized lounge chair by Note Design Studio at Fogia's stand during this year's Stockholm Furniture Fair, which continues until Saturday. Also launching at the event is a globe-shaped outdoor light by Stefan Borselius, a collection of simple wooden furniture and metal lighting by MSDS Studio, and a range of wooden furniture supported by metal brackets by Ronan and Erwan Bouroullec.